WHO: Cooper Lawrence. Radio darling and veteran with a resume chock full of all sorts of media-related bona fides. Part of “The Big Show with Scott & Todd on WPLJ” in New York and even more recently, on daily national Fox TV show “Dish Nation,” a celeb gossip show. We’re talking print, TV, radio guru here – a woman of many talents who so happens to have authored five books, her most current being The Cult of Celebrity: What our Fascination with the Stars Reveals About Us. WHERE: In her medicine cabinet! WHAT: The (one and only) Drying Lotion, Cucumber Cream Soap, Seaweed Cleansing Lotion, Eye Makeup Remover Gel (Non-Oily), and then some. WHY: “(…) I found myself with skin like a 13 year old girl and I don’t mean that in a positive way… My face was full of zits and blemishes which, as you can imagine, is quite attractive on an adult woman (she said sarcastically). I tried every product around… Have you ever heard of Mario Badescu? Oh-My-Lordy! Tell us what’s in your medicine cabinet in the comments below. 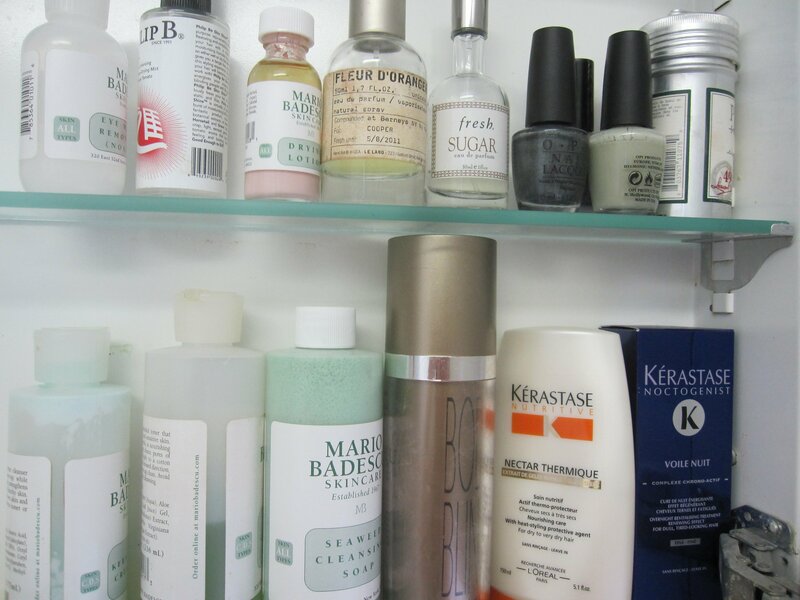 Or, better yet, send us snapshots of what’s in your medicine cabinet!